Projects, hopes and resolutions jostled in my brain clamouring for attention. I could not wander from day to day. I had to plan. The start point of planning an expedition is simple. Initially you need three things: a piece of paper, a pencil and a quiet corner where no one will disturb you. Pause – and let your mind mull over the kind of project you want to undertake. This may be linked to your own interests and training or to your own passion for outdoor activities. Be it a school field trip, a gap year project or a university research expedition, think about the activities you want to undertake and the fieldwork you really would like to do. Is it to be an exploration or an adventurous journey? Solo or in a team? Is it to the nearby hills – or does a remote and challenging environment beckon? Or is it to be a geographical study that contributes to a better understanding of our world? In the A to Z of fieldwork today, the potential research topics are infinite. This is the first project management tool that reads “If you want to understand your thoughts – write them on the paper!”. Well, in a modern version – “express them in alphanumeric and graphic view”. While mulling over, begin to jot down a list of things that you would like to achieve, both personally and as part of a team. List the kind of people you would like to involve and work with. List what you think the tangible end products might be that would help you measure it as a success. New knowledge, new skills, a new language, new international friends, new cultures, new adventures? A scientific paper, an expedition report, a portfolio of stunning images, a published book, a television film? The longer the lists, the greater the challenge. Nevertheless, do make that first list. It’s a cornerstone from which to build. Then take a deep breath to assess honestly whether you have the skills to embark on such a commitment. Perhaps you might like to trim the list or tackle a lesser challenge. Give it careful thought. In your heart you will know when you are ready to accept the responsibility of organising a project of your own and whether your ideas are worth following. Share your plans with your family, your friends and other potential members of the team. Depending on their comments, review your list again! your discipline – and any representation you might be making. If this list of stakeholders becomes too heavy a burden for you to shoulder, pull out now before you start raising the hopes of others. If not, return to your list and review the objectives again. From here on, there are a number of ways to convert your list into a realistic plan to organise an expedition regardless of purpose, size, destination and cost. This is what you do next. On your list of priorities, highlight those aspects of your project that are clearly the most important to you. Consult and discuss these with your team – or at least with potential members of the project. Those priorities that cause uncertainty relegate for the time being. From this jumble of ideas, try to form some semblance of order so that you can begin to focus on what you hope will be a single clear aim of what you want to do – your project. After consultation, write down the aim of your expedition or project as a single clear statement – the aim. The aim of my expedition next year is to … Then share this short statement with those currently involved with the project to see whether your initial idea can withstand some scrutiny. You will soon know when you have sufficient consensus to proceed! Then from your list take those other objectives that you would like to achieve, time and funds permitting. These will be your supporting objectives. You may need to decide here which of these you may need to sacrifice to achieve the aim. Differentiating between the aim and the supporting objectives is a vital stage in your planning. The model in Figure 1.1 might help. To help understand this critical point, look at the two following projects: one a mountain science project and the other a climbing expedition. and to climb a nearby mountain or two. to identify other mountain peaks in the area for future expeditions. In both cases, if all goes well, all the objectives can be met. However, should there be a shortage of funds and time constraints, the supporting objectives can be altered slightly without jeopardising the aim. To be able to write down your aim and the supporting objectives on one sheet of paper is a good position to be in early on in your planning, especially if you have a consensus! There are many different ways to represent the project visually. The MindMap or the classical view of work breakdown structure (WBS) can be used in addition to the option presented here. Once you and the team agree your aim, you can start to develop your more detailed plans. In sharing your plans with others, it is helpful to have a clear mental picture of the kind of project that you have in mind, particularly concerning the four parameters of purpose, size, length and costs. These four factors are the cornerstones of your expedition and it is helpful to agree these as early as possible, to avoid misunderstandings at a later date. For example, do you see your project as an international team of researchers taking sediment cores in a high mountain lake, or do you see yourself as a group of climbers summiting a new mountain peak? Both are laudable. In short, you are agreeing a brand image. This will help you with the planning and the fund-raising. More importantly it helps confirm that all members share the same clear vision of the type of expedition they are joining. Having tied down your expedition into a manageable form, you can now do your critical path planning. There are five steps here. Using the Checklists is the one of the features of the industrial project and program management. You use industrial or others checklists at the initial stage of maturity of PPM. But at the higher stages, you constantly improve these checklists by summarizing lessons learned of the projects. An early appreciation of the overall expedition plan is important even if the details may not be finalised. There are a large number of headings to consider and a glance at the planning checklists may help you to start grouping the issues you need to consider, so you can identify your priorities (see Appendix 1 for a sample planning checklist and Appendix 2 for a sample reconnaissance checklist). Most tasks will take longer than you think. Unless you begin to delegate tasks, you will almost certainly run out of time, e.g. for your fund-raising plan, to identify the application dates for key grant-giving organisations. This will give you the deadline for when you will need your project plans in a presentable form ready for evaluation. The deadline for Royal Geographical Society–Institute of British Geographers (RGS–IBG) Expedition Research Grants is the end of January (for expeditions going into the field during the summer months), and the end of June for those going into the field over the winter months. So you will need to have tied down your detailed research plans, host country involvement and budget by one of these dates if you want to get RGS–IBG approval and funding. Each topic needs to be individually assessed. Freighting of scientific equipment is another task that often catches people out because it requires a long lead-in time (I am assuming that you cannot afford air cargo on this occasion). It can now be quite fun to fit together the various headings into a flow chart, with a list of the main headings going down the left side of the chart and the expected timeline for each set out across the page. This can start on the back of an envelope, and be upgraded to a spreadsheet. If you are confident that the overall plan fits together, now prepare your own ‘critical path’ timeline to help you clarify key decisions and actions that need to be made by when, and which ones are governed by what deadlines (permission, funds, flights, etc.). Some are movable; some are not. Pulling all that together as a business plan will require some intelligent guessing. There are many models that you can develop, depending on the complexity and size of your project. An example of a proven critical path plan for a school expedition to Iceland can be seen in Appendix 3. There are all correct in the chapter “Planning an expedition”at the basic level of project management maturity. But if you need more serious planning, it is necessary to refer to the PMBOK, or even to the Practice Standard for Scheduling. In the hurly-burly of an expedition it is helpful to know what your current priorities are and which of the outstanding tasks require most of your time. A final checklist of tasks to achieve each week/month is extremely useful. An example of such a countdown, which can be used as a sample checklist, is in Appendix 4. This represents a typical school or university expedition covering 24 months with 12 months planning, 3 months in the field and 9 months writing up. It assumes that you already have a good idea of your aim, supporting objectives, team size and an outline budget, and that you have done some initial research to test the feasibility of your plan with your colleagues and other advisers. You will need to adapt it to your own timetable should you be planning a winter or Easter project. Do NOT follow the plan without considering your own criteria. Simply try to use it as a starting point for your own project. Good luck with your planning. All geographical field projects, whatever their purpose, are very hard work indeed. So convince yourself that spending the next two years organising and running an overseas project will be worthwhile. They are not for the faint-hearted. It is your commitment and enthusiasm that will make your project a success and this will be driven by your motivation to achieve the aim you set yourself at the beginning. Blashford-Snell, J. and Ballantine, A. (1977) Expeditions the Experts’ Way. London: Faber & Faber. Deegan, P. (2002) The Mountain Traveller’s Handbook: Your companion from city to summit. Manchester: British Mountaineering Council. 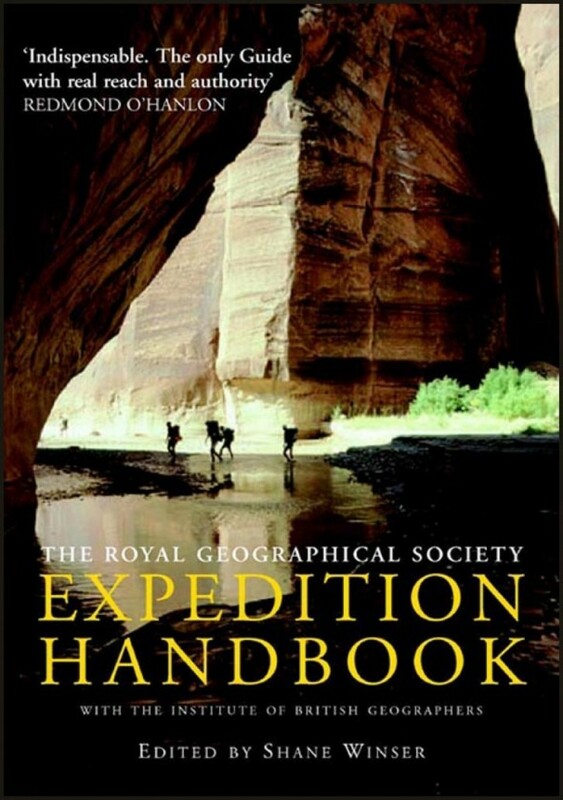 Edwards, D. (2000) Exploring New Frontiers: A guide to planning expeditions and team research projects in the field. Glasgow: Royal Scottish Geographical Society. Keat, W. (ed.) 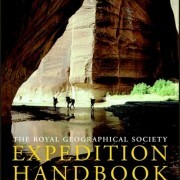 (2000) Expedition Guide. Windsor: The Duke of Edinburgh’s Award Scheme. Land, T. (ed.) (1978) The Expedition Handbook. London: Butterworths. Lorie, J. (ed.) (2000) The Traveller’s Handbook. London: Wexas. Putnam, R. (2002) Safe and Responsible Expeditions. Newark, Notts: Young Explorers’ Trust. Young Explorers’ Trust (2002) YET Expedition Manual. A web-only publication (www.theyet.org). Next Chapter 2 LEADERSHIP AND TEAMWORK. with comments of the Project Management Professional (PMP). HERE you can view the beggining of the book. To buy the book go to links: Amazon or RGS.